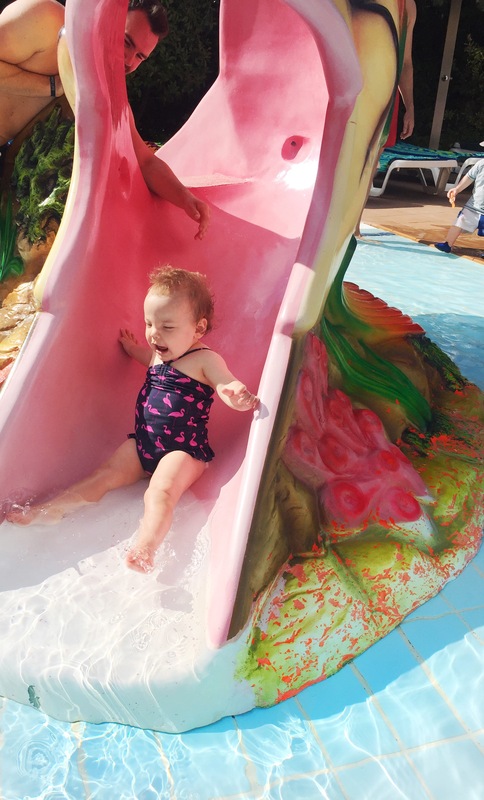 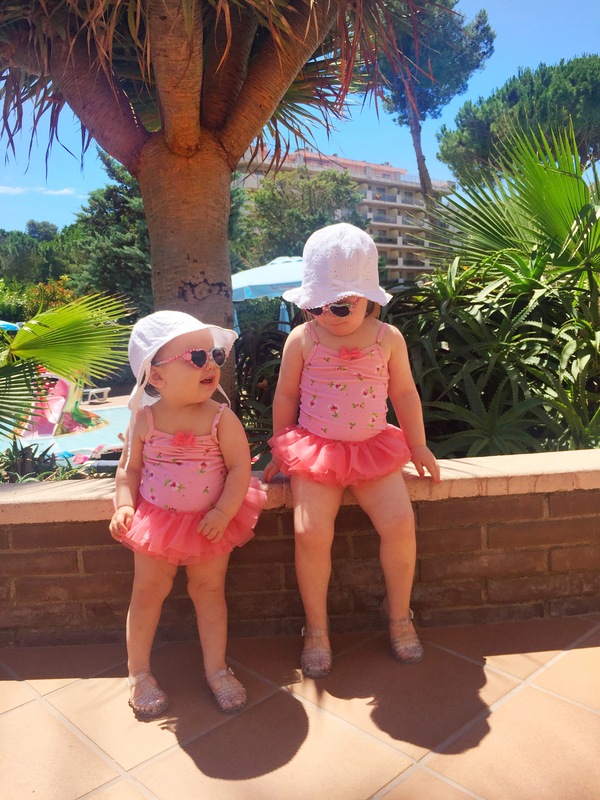 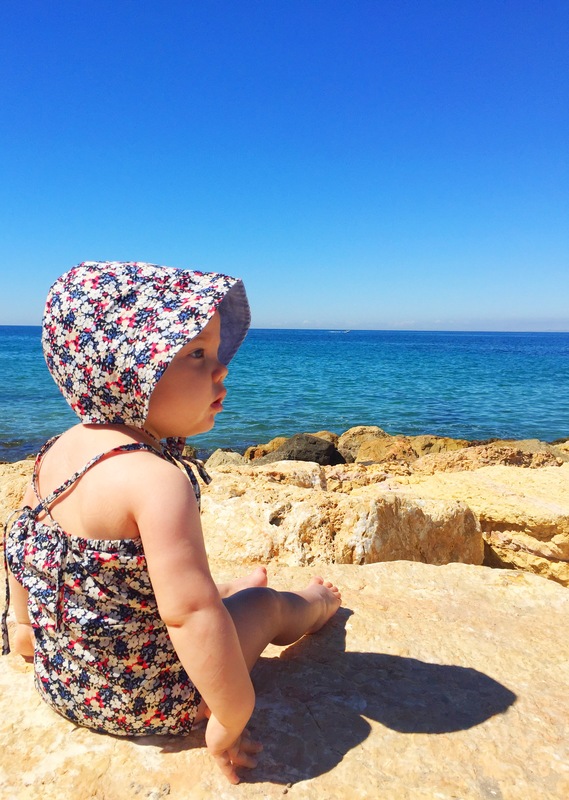 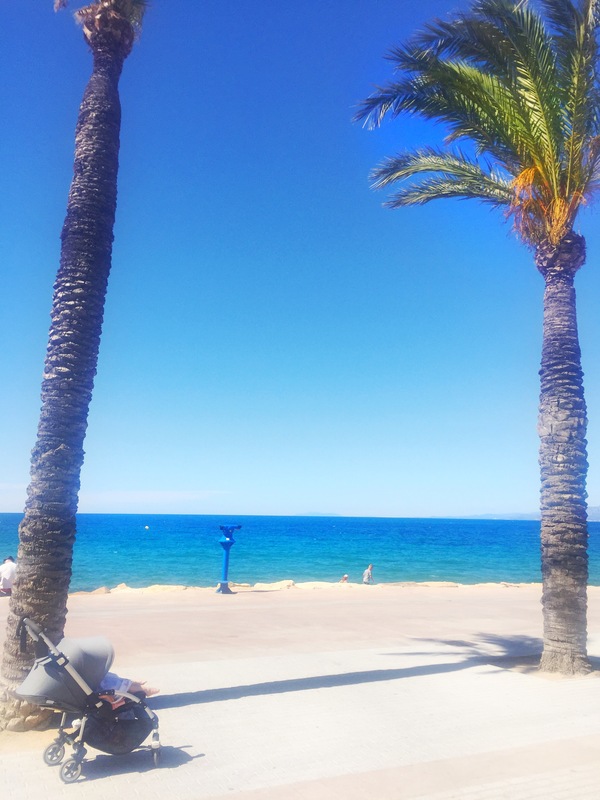 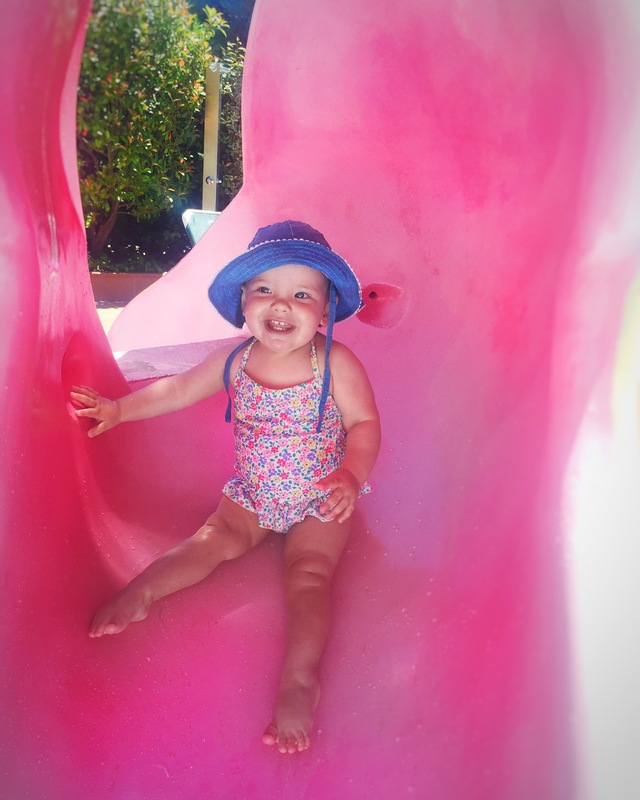 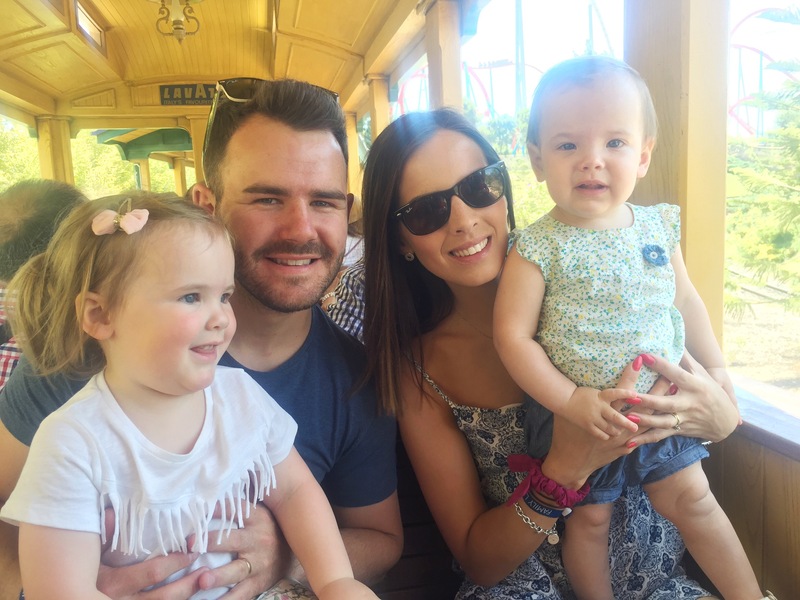 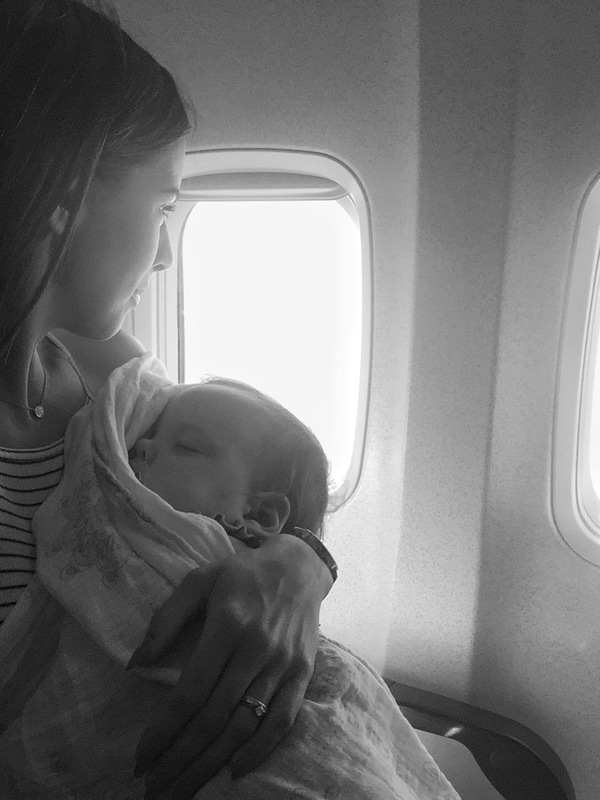 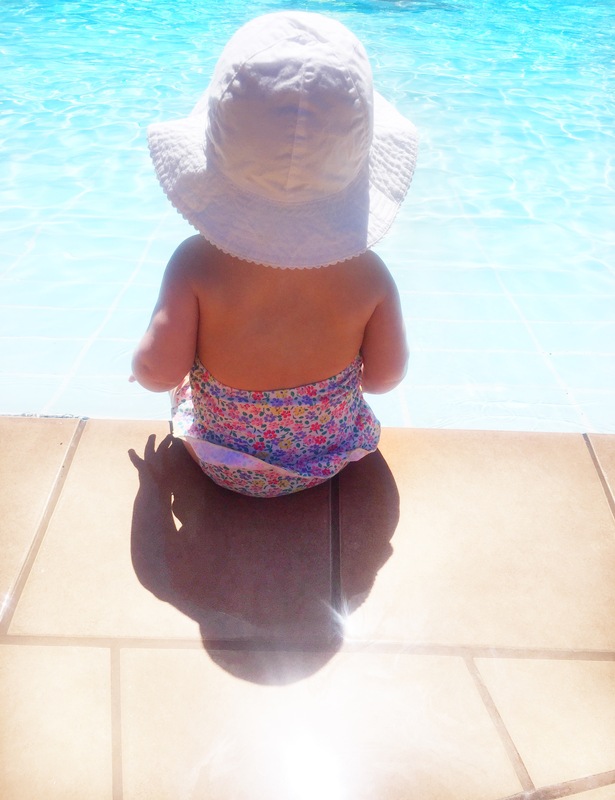 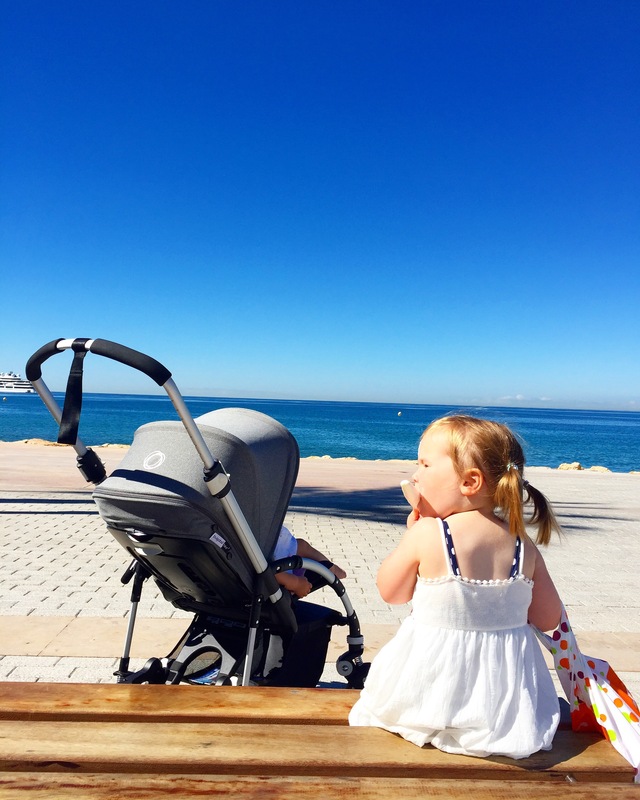 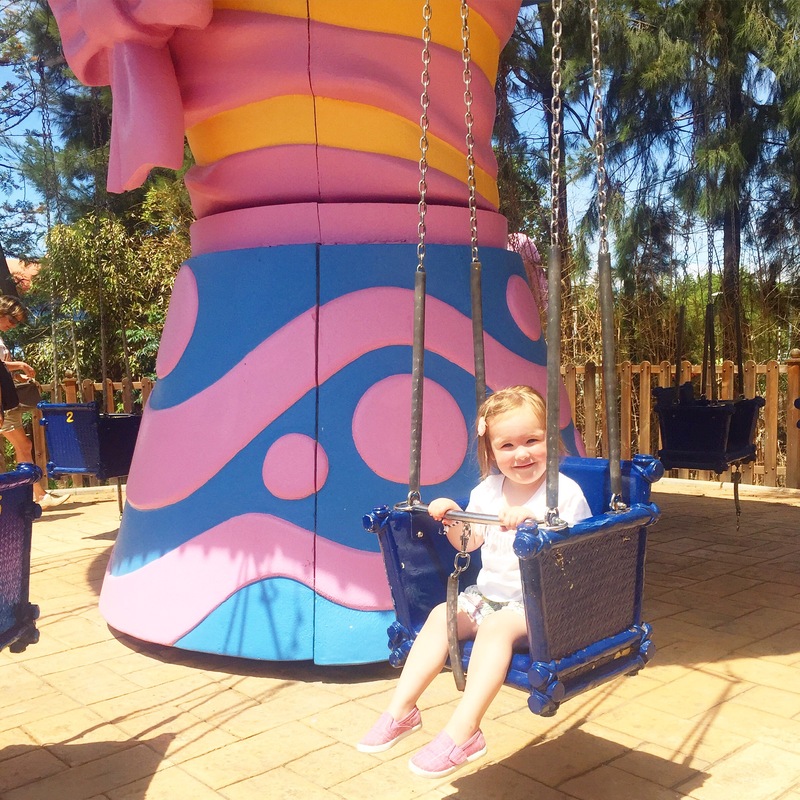 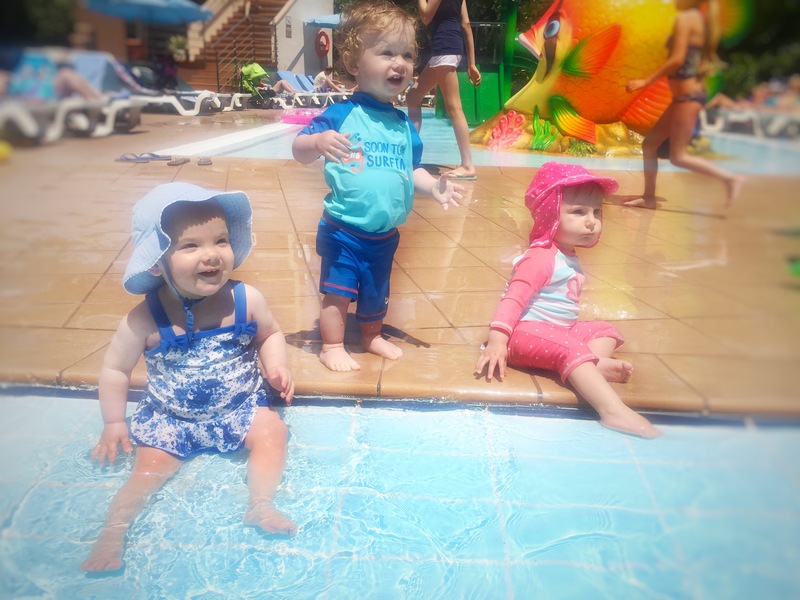 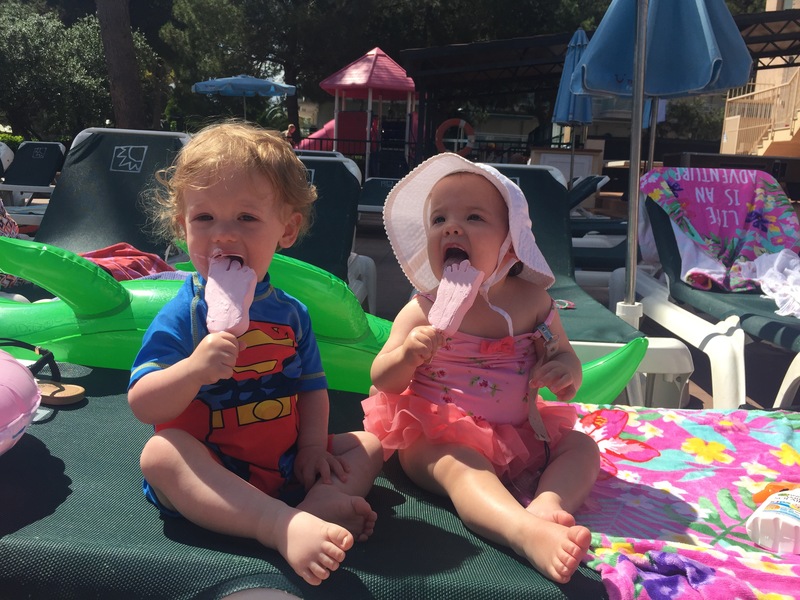 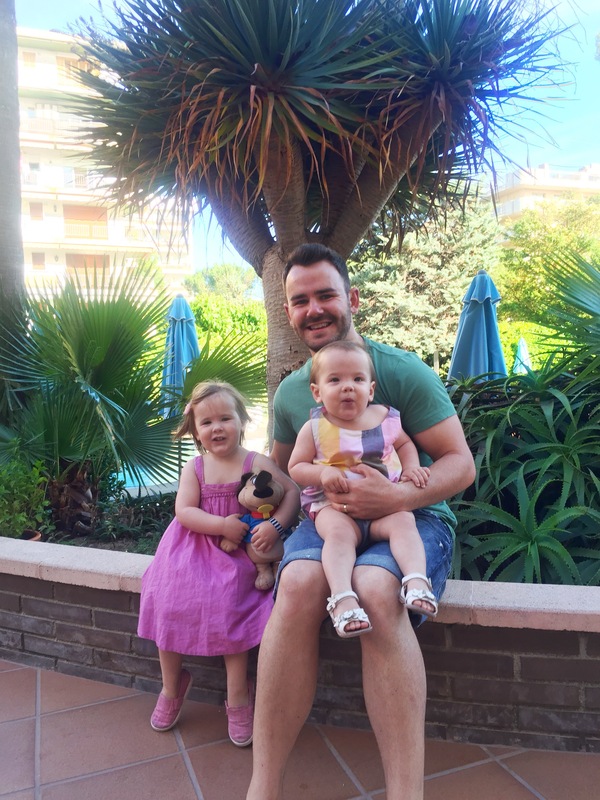 We jetted off to sunny salou, to be honest it’s not really my ideal holiday location, it’s extremely touristy with a small over crowded beach and lots of bars and resturants but it was exactly what we needed when taking away a 2 year old and 1 year old. 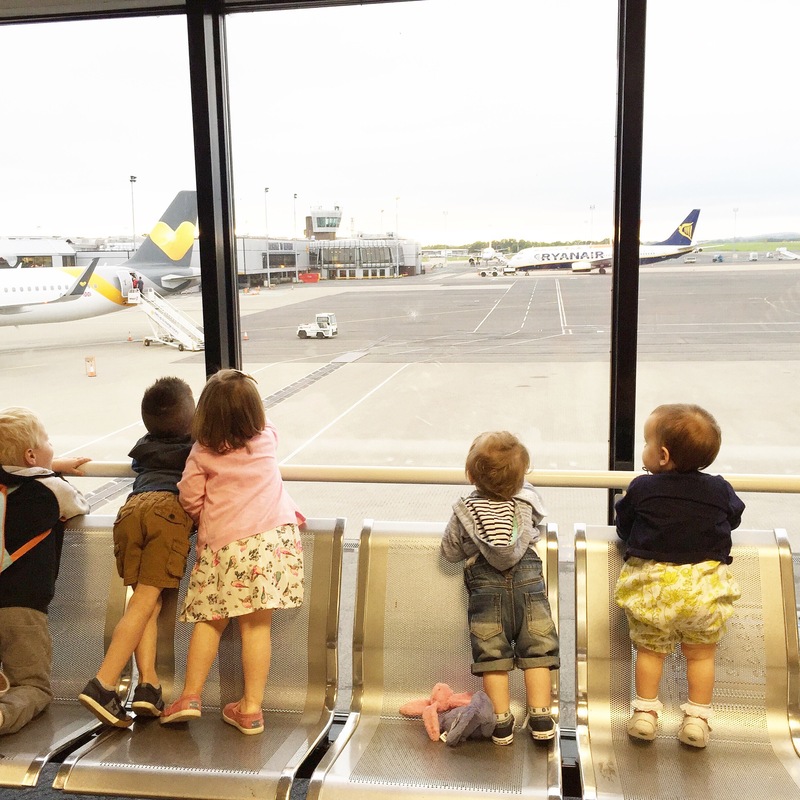 The flight was 2 hours, a 20 minute transfer from the airport, it was clean, hotel was fabulous for young kids (hell if you don’t have kids) and the food was basic enough for children to enjoy. 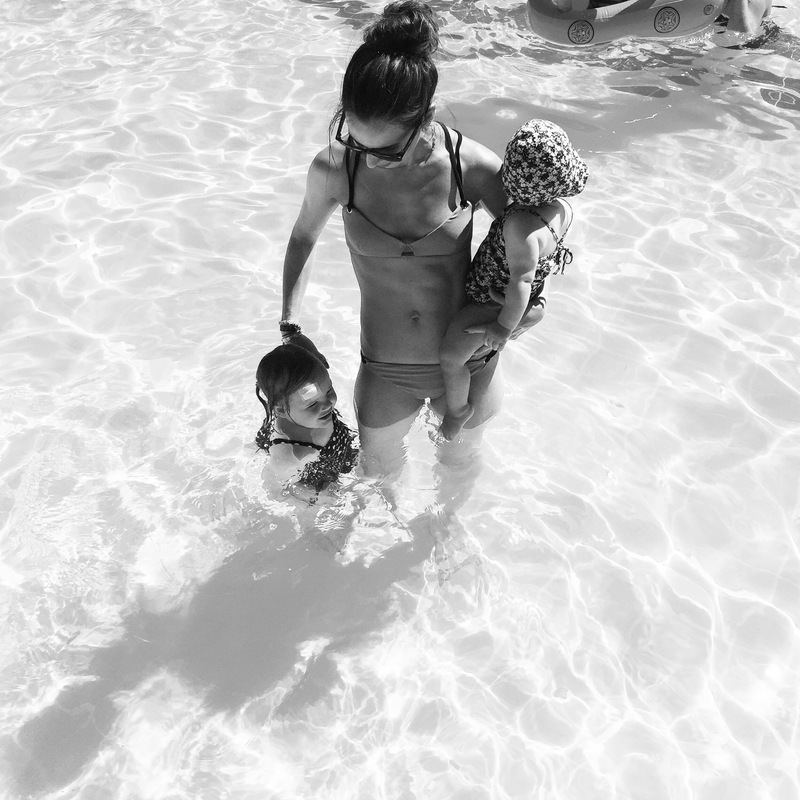 Both girls had a blast and only ever left the pool for either a sleep or food. 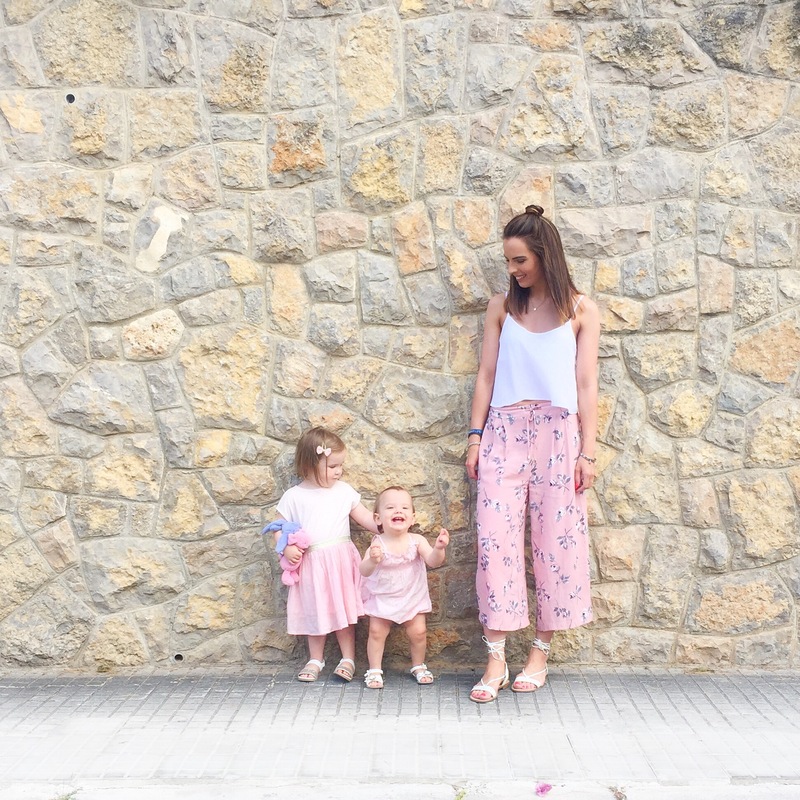 Bella fell on the 4th day and hit her head on a step, it was pretty horrific and I am sure I could say I was left more traumatised than Bella. 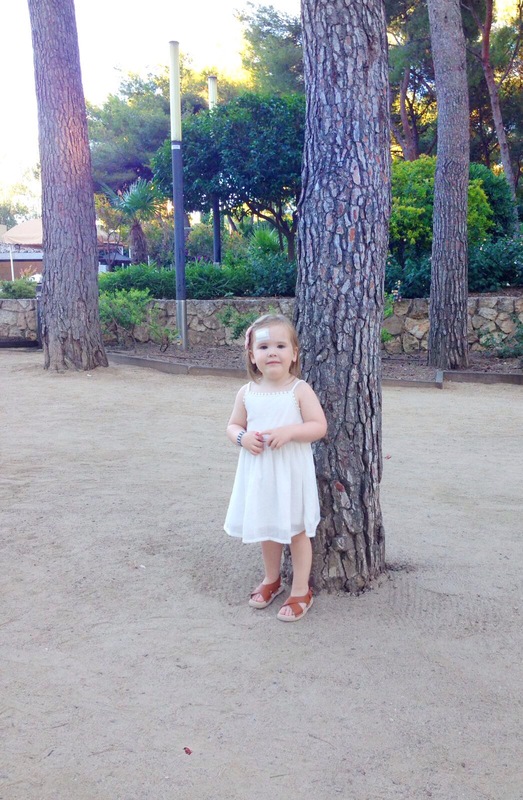 Bella was rushed to hospital where she received amazing care. 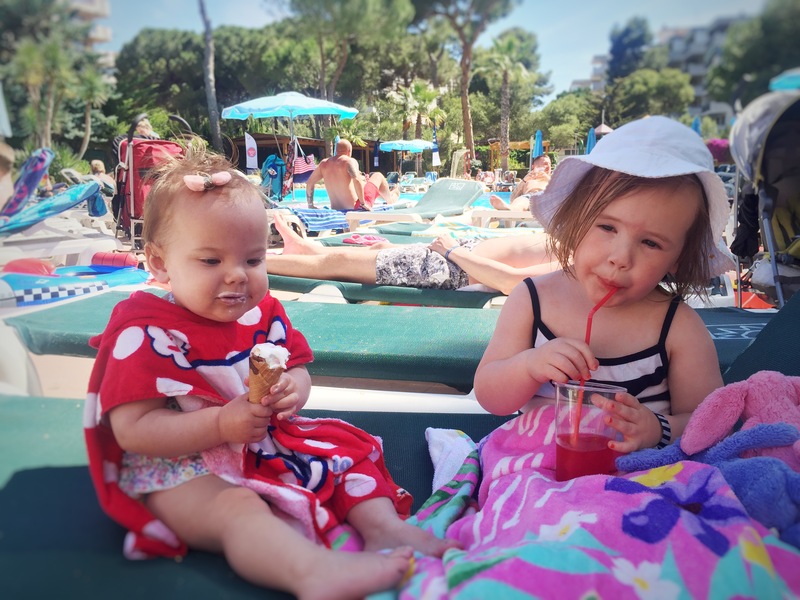 6 stitches and a hard blue lolly pop later and her smile was as big as ever! 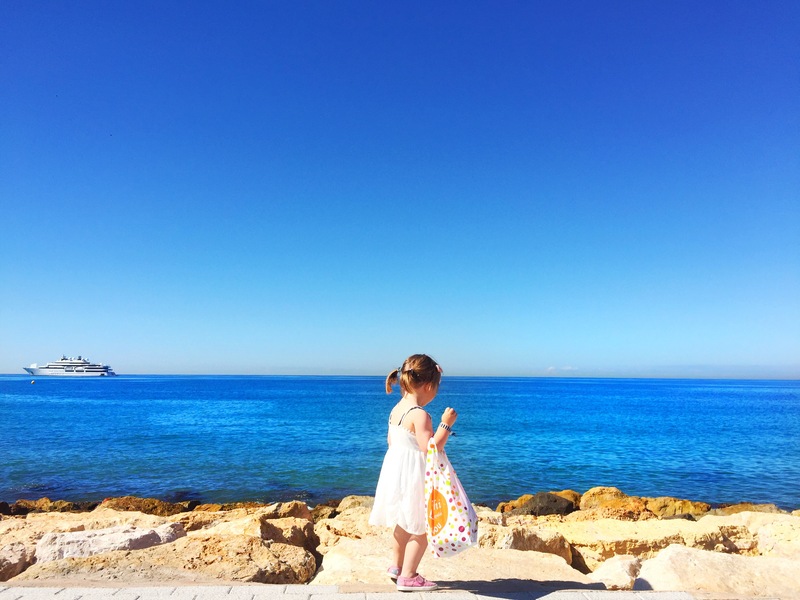 After getting 4 injections to numb her head for the stitches she turned to the doctor and through her tears she said ‘fank you for trying to help me’ At that point all my strength to hold back the tears was lost and even one of the Spanish nurses filled up as she repeated to the doctor ‘she is only 2.’ Pride just doesn’t cover it! 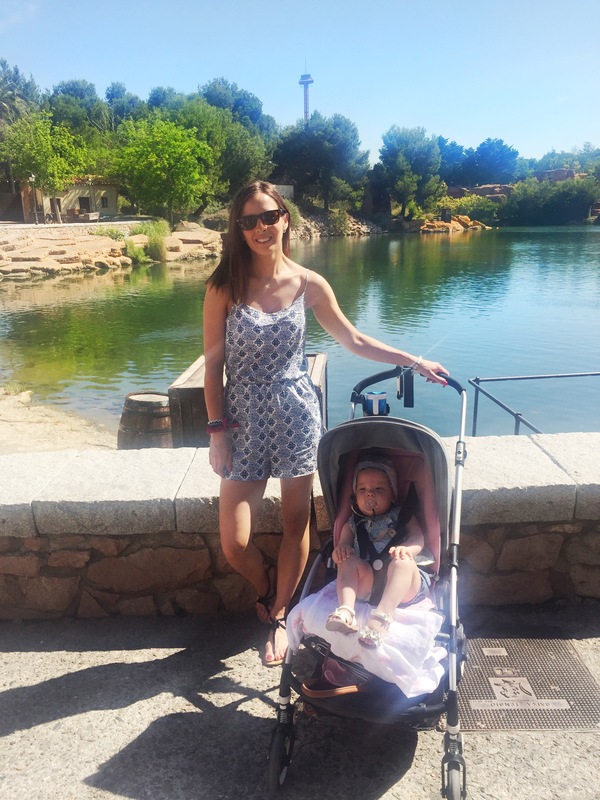 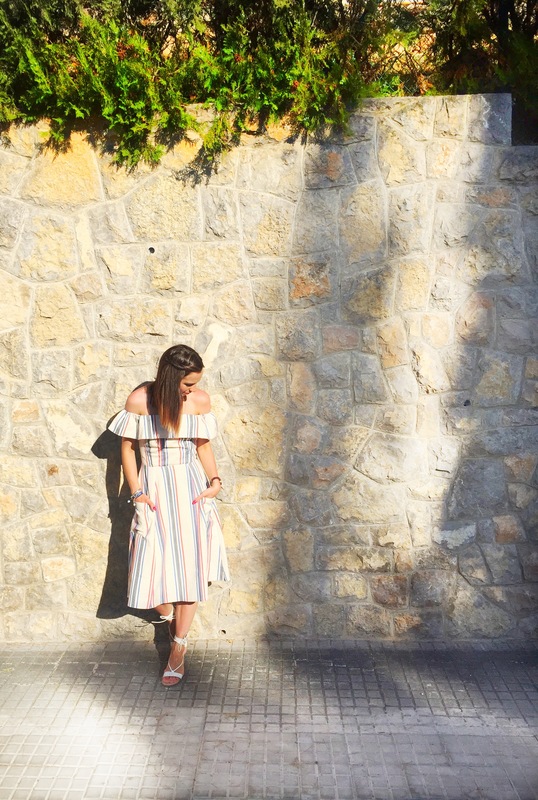 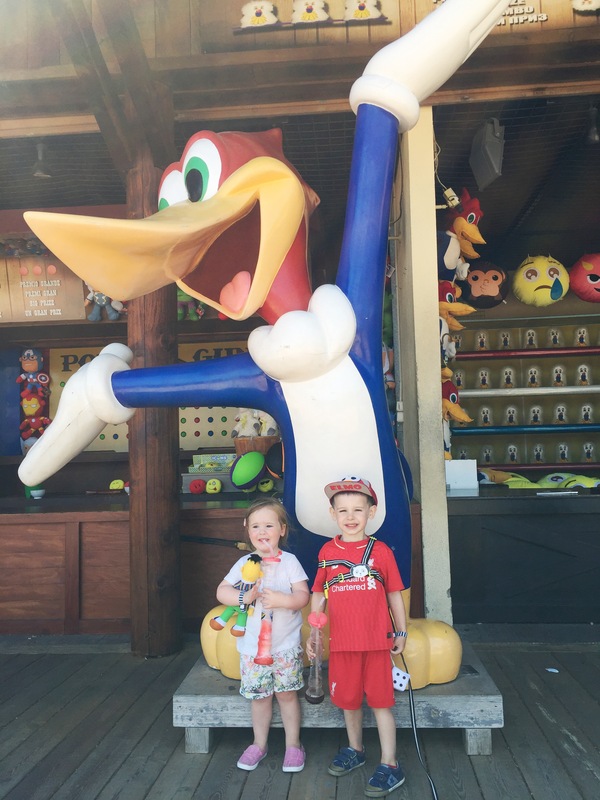 We visited Port Aventura theme park but other than that we spent most of our time ‘relaxing’ (well as much as you can with 2 kids) by the pool, lots and lots of eating, a few drinks and some walks. 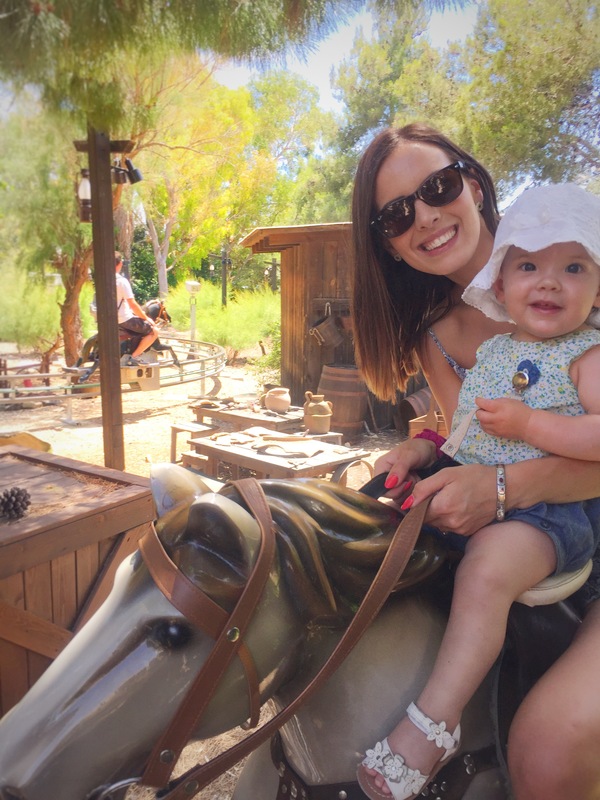 I wouldn’t call it a perfect holiday after the fright we had with Bella but it was filled with perfect moments, a lot of time spent together and great company! 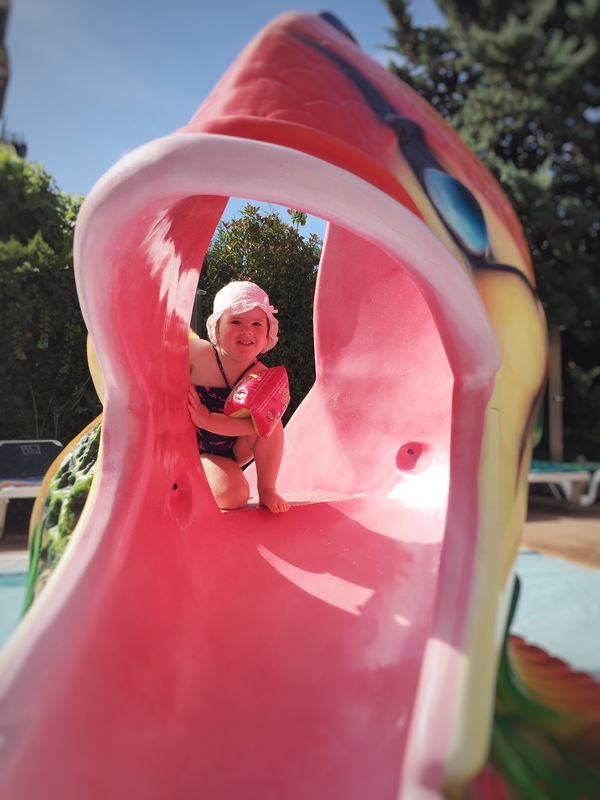 Here are lots of pics of sunny skies, sticky ice cream faces and the biggest of smiles ☀️ now if we could only tempt the sun back to Northern Ireland again!